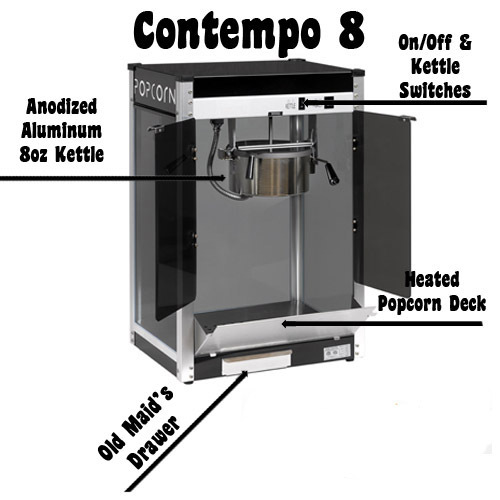 Paragon's Contempo 8 popcorn machine features an annodized aluminum 8-oz. popcorn kettle. Black paint and tinted windows offer a true contemporary style. 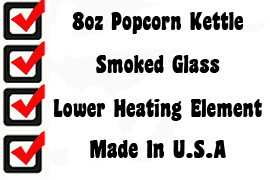 Tempered glass sides, plexi-glass pair of doors, lower cal-rod heating element, old maid's tray for catching unpopped popcorn.